While a good sign of health is the presence of a healthy appetite, even a slightest physical or emotional problem can affect the appetite of an otherwise healthy person. Decreased or loss of appetite may stem from different reasons including the presence of abdominal bloating, persistent indigestion and constipation. Sensation of nausea or pain can be felt if the appetite is affected in some cases. Medications such as drugs, alcohol, narcotics, antibiotics, chemotherapy medications and medicines for diabetes. Normally drugs such as amphetamines, antibiotics, chemotherapy drugs, cough and cold medications. Digitalis, Demerol, morphine, sympathomimetics including ephedrine can cause loss of appetite. There could be many other causes for loss of appetite and sometimes no cause may also be found. Depression in the elderly is another common cause of weight loss that is not explained by any other factor. Loss of appetite can also result from improper eating habits including eating sweets and drinking soft drinks between meals. Consumption of large and heavy meals rich in saturated fats at odd times can also result in loss of appetite. Whether the patient has fever, diarrhea and headaches. If the appetite loss is gradual and is coupled with loss of weight, then a medical examination becomes important - it could signal a potential serious disorder as a poor appetite can be a symptom for an underlying condition. The medical provider will find out about the history of the patient and then undertake a physical exam. Specific laboratory tests depend on the suspected cause. For example, blood tests can help detect diabetes, hormone imbalance and liver diseases. Urine tests help diagnoses kidney infections and chest x-ray can look for pneumonia or lung cancer. Some tests that are done for diagnosing loss of appetite are abdominal ultrasound, barium enema, complete blood count, HIV test, kidney function test, liver function test, pregnancy test, thyroid function test, upper GI series and urine drug screening. If loss of appetite exists for more than a few weeks it may result in malnutrition. Other long term effects of loss of appetite are related to the cause. For example diabetes can cause damage to different organs in the body, kidneys, eyes and nerves get damaged, and cancer can cause death. Treatments for loss of appetite depend much on the cause. For example, pregnant women regain their appetite after several weeks and need no specific treatment. Any illness can affect those with a previously healthy appetite. The appetite normally returns when the illness is treated and the condition is cured. Those who suffer from nausea resulting in loss of appetite are treated with medications such as ondansetron or promethazine. High calorie nutrition shakes and even artificial feeding through a gastrostomy tube may be needed for people with dementia. People with appendicitis usually need surgery. Those with infections need antibiotics. Those with low thyroid hormone levels need hormone replacement pills. Some with cancer require surgery, chemotherapy or radiation therapy. Nutritious snacks and other small meals rich in protein and calorie intake with liquid protein drinks can help combat loss of appetite. Yeast is an excellent nutritional supplement when taken along with vitamin B complex. Green foods, in particular alfalfa are nourishing herbal stimulants. Smell and taste can be affected by the lack of essential mineral zinc and this can directly affect the appetite of a person. 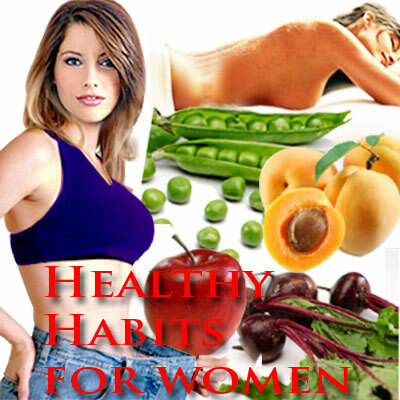 Appetite can be stimulated by herbal juices consumed half an hour before meal. Those suffering from of loss of appetite due to emotional problems can use herbal juices from fennel, chamomile, fenugreek, lemon balm, peppermint and sip herbal tea during the course of the day. The stomach is soothed by the use of these herbs, and the herbs can also help boost appetite at the same time. Family members can try to supply favorite food to help stimulate the person's appetite. The patient can maintain a diet history, keeping a track record of what he/she eats and drinks for 24 hours. The person's weight and nutritional status monitored in this way can report any change in appetite or response from treatment to the health care provider. Persons who suffer from anorexia nervosa exaggerate food intake and it is necessary to keep a strict calorie and nutrient counts. Yet another topical/ alternative treatment for loss of appetite is the action of dry skin brushing in the abdominal region of the affected person. The release of stomach juices and the production of digestive acids are stimulated by the compound histamine which is produced in the skin and this supplement can be taken to improve appetite. Use of warm and moist compresses carried out in the abdominal area and along the liver can be of immense benefit for a person suffering from loss of appetite. Appetites can also be stimulated by vigorous physical exercises such as walking and swimming. First Published Date: 8 Jul 2010 Last modified Date: April 18 2019 This page may have been updated recently as new information is available or the content may have been edited for better readability.